As part of the healthcare community, CareNational realizes the importance of community and charitable involvement. To date, CareNational, it's leadership team and employees have raised over $100,000 for these important local causes. CareNational pledges a percentage of gross profits to employee selected charities. CareNational is a proud supporter of Phoenix Suns Charities, benefiting Phoenix area non-profits with a focus on underserved Children and Families. Phoenix Suns Charities and Aaron Lebovitz. CEO at CareNational is a member and former board president of Suns Charities 88. CareNational supports the Leukemia & Lymphoma Society’s Man and Woman of the Year Campaign. In 2015 Aaron was Nominated and ran for Man of the Year, raising nearly $40,000 for LLS. CareNational supports Team Remission Possible each year. 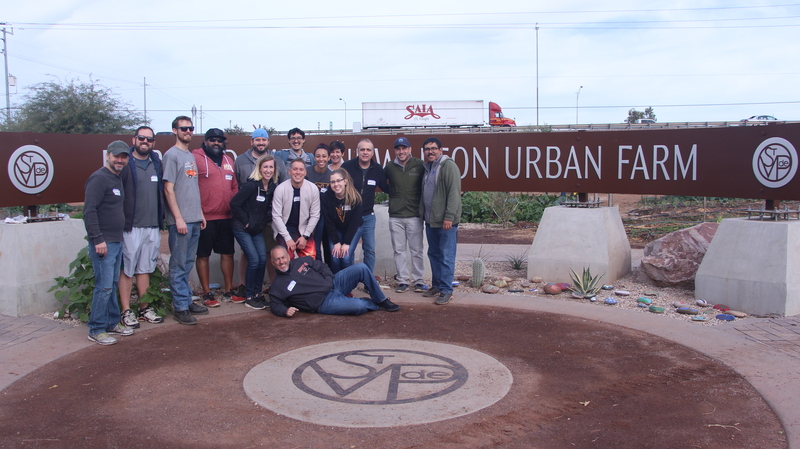 In 2018, CareNational Volunteered at St. Vincent de Paul’s Community Garden as part of our annual charity event. The group helped around the farm, clearing old crops, creating compost, and taking out invasive weeds to keep the garden healthy.